DOST-PCHRD Conducts Science Media Tour For Awareness On “Knee Replacement Surgery” Availability In PH - Orthopaedic International, Inc. 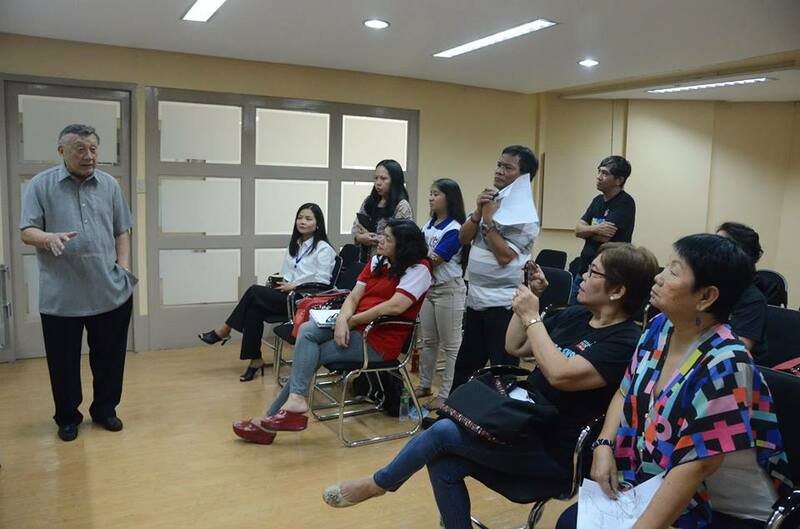 The Philippine Council for Health Research and Development (PCHRD), an attached agency of the Department of Science and Technology (DOST), conducted on Thursday a science media tour to orient media practitioners about the availability of “Knee Replacement Surgery” in the country. 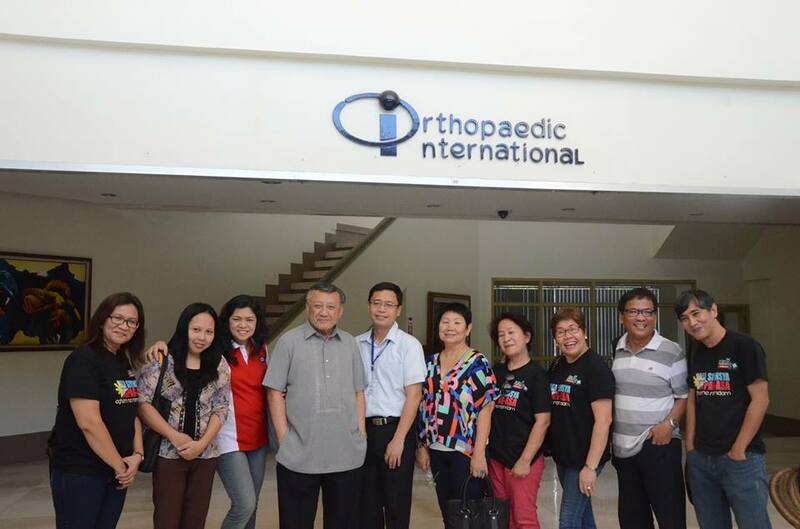 The science tour was made at the Orthopaedic International Inc. (OII) — located at the Light Industrial & Science Park 1 Economic Zone in Cabuyao, Laguna — which manufactures knee system and other innovative, high quality and affordable orthopaedic products. Through the tour, the media members were familiarized with the manner in which the orthopaedic implants and devices are made from imported materials and machines to produce the joints, nails, spines and instrumentations with OII’s state-of-the-art facilities that meet international standards for design. The media practitioners were also provided with informative materials for better understanding of the availability of the knee replacement surgery as there are many orthopaedic surgeons undergoing training so that they can successfully perform the operation nationwide. According to PCHRD Executive Director Jaime C. Montoya, total knee replacement (TKR) surgery is one of the health research-based solutions and innovations which they want to spread to the Filipino people in line with their vision to have a healthy nation benefiting from innovative research-based studies and inventions. It was launched last year through the first and sole public-private partnership (PPP) of the Philippine government through DOST-PCHRD with OII in the field of biomedical research. “The Axis Knee System, being the first and only total knee replacement system to be developed and manufactured in the Philippines and ASEAN region, is one great example and it is one step in the right direction of fostering home-grown innovations,” Dr. Montoya said. TKR involves replacement of knee joint with metal and plastic implants to eliminate pain, restore alignment and allow the patient to return to normal daily activities. “It is the best option available to treat osteoarthritis when medication and therapy are no longer effective,” said Dr. Ramon B. Gustilo, a Filipino orthopaedic surgeon who is chairman and CEO of OII. Dr. Gustilo, who is a native of Negros Occidental, is also a successful international orthopaedic surgeon and has trained different orthopaedic surgeons in the country and all over the world. He said that the total knee replacement can last from 20 to 25 years. Dr. Gustilo, who made the invention, added that the axis knee system is designed both for Filipino and other Asian patients. The invention is registered at the Philippine Food and Drug Administration (FDA). The price of the axis knee system ranges from P60,000 in government orthopaedic hospitals to P70,000 in private hospitals for the senior citizens or elderly. According to Mr. Jude L. Sasing, president of OII, since they started the introduction of the innovative health solution venture last year, they now have a total of 70 patients who showed interest in the latest option. He said that positive or beneficial effects happen by making the lives of those suffering from osteoarthritis happy, enjoyable and productive and at least away from sadness or even depression as they are able to return to activities that they want to do with ease and no pain such as walking, dancing, playing golf, etc. Sasing said that with the media orientation and tour, they are hopeful that they can increase the awareness and understanding of the people that there are still options waiting to be done and such are available at affordable costs. They are also hoping that other government agencies will partner with them or help them in bringing the program to the people. Health experts say that knee arthritis or knee inflammation occurs when the cartilages of the knee start rubbing directly against each other. Because of this, osteoarthritis, traumatic arthritis and rheumatoid arthritis are experienced by patients. Sasing said that interested patients or their relatives who want to explore the option can inquire at their trusted orthopaedic surgeons.